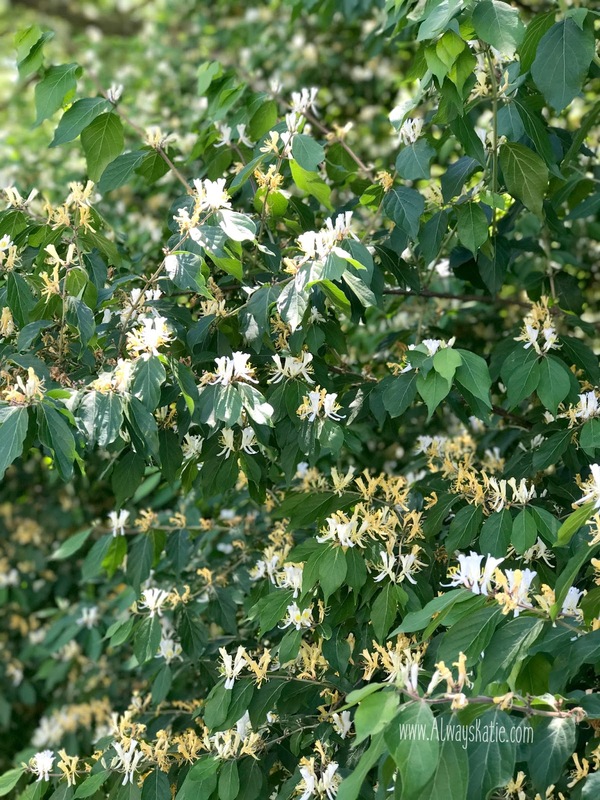 There’s honeysuckle in my backyard. Like, a LOT of honeysuckle. And it smells amazing. Step out of my house and the heady fragrance grabs you by the arm and urges you to skip to the mailbox instead of walking like a grown-up because OMG SPRING! I love the smell of honeysuckle. I didn’t realize this until I took a botany class in college and my professor could be derailed into a 45-minute tangent with just the mention of the word honeysuckle. It’s an invasive species, and it grows quickly and selfishly, choking the life out of whatever is unfortunate enough to share its space. But it’s gorgeous and it smells like happiness. It’s deceptive. Insidious. I’m a bit of a people-pleaser. I’m not sure that’s a perfectly accurate label, but I do genuinely bend over backwards to make others happy, to make their lives easier, to do the things I “ought” to do. I want to be needed and valued, and in that irrational little part of my brain that is still an insecure teenager, I’m pretty sure that the only way to be needed and valued is to say “yes” to everything. This has led to some admittedly cool things. This year I was the newsletter editor for my twin mom club, and it was a neat opportunity. I modernized some things and got to work closely with some amazing women I may or may not have gotten to know so well had it not been for my board position. No regrets. It has allowed me to be there for friends in crises. I could never regret being a listening ear for my hurting friends. It has also led to some unhealthy behaviors, ignoring my own physical and mental health needs to give of myself until it literally hurts. 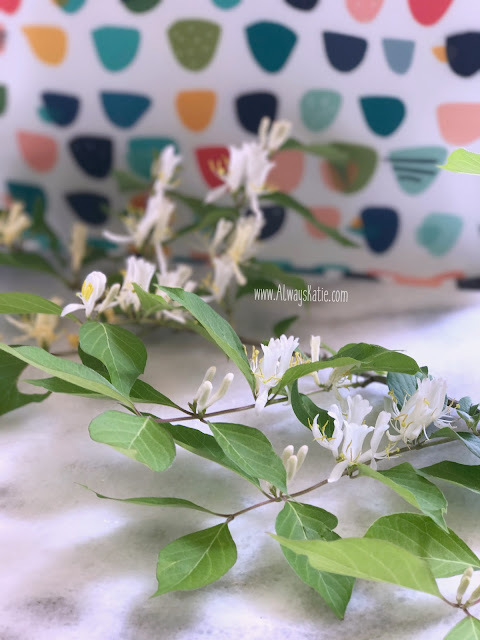 This nearly compulsive need to serve is the honeysuckle in my life, and my numerous commitments are the sweet-smelling blossoms, springing from the persistent and overwhelming branches. They’re great! Very pleasant, beautiful, not necessarily negative on their own. But their dominance in my life and in my backyard have been ultimately unsafe. As I was reflecting on how such wonderful things can have such a negative impact, I remembered a verse from Proverbs that is often quoted to young people as encouragement to practice abstinence… “Keep your heart with all vigilance, for from it flow the springs of life” (Proverbs 4:23 ESV). I’ve been tired. Pretty much all the time. It’s a physical tired, sure; twin toddlers will do that do a woman. But I’ve also been emotionally, mentally, and spiritually weary. As I’ve turned the honeysuckle and wellspring metaphors over and over in my head, I’ve come to realize that my heart is bruised and cluttered from all of the honeysuckle I’ve allowed to grow in and around it, and it’s affecting the way my life flows. Nobody would argue that the acts of service themselves are bad, but when they stem from a toxic, unrealistic expectation for myself, they are dangerous. I have been overcommitting myself, pushing myself beyond what I know are my healthy boundaries. I was making myself sick from emotional and physical exhaustion. I have a prescription now for a rescue anxiety drug, because when the occasion comes up where I AM helpless (and feel useless), I have panic attacks. Guys. This is no way to live. My wellspring has been truly clogged. Think septic tank with roots clogging it. What’s backing up and overflowing from that is not pretty. It’s a simple fix, but it’s anything but easy. Every day, multiple times a day, I have to remind myself of what my boundaries are and why they stand where they do. Every day (with the help of an increased dose of my main antidepressant) I choose to prune back my need to be needed and my need for approval. As a natural extension of this pruning, I’m letting go of some commitments and placing boundaries around others. As I enact and fortify these boundaries that guard the wellspring of my life, those who have been able to cross them in the past are faced with a choice. Some respect them. Some don’t understand. Relationships and perspectives are changing. Change is hard. It’s also a process, one that is ongoing and deliberate. I have to choose this new perspective and motivation over and over. But the changes have been positive. 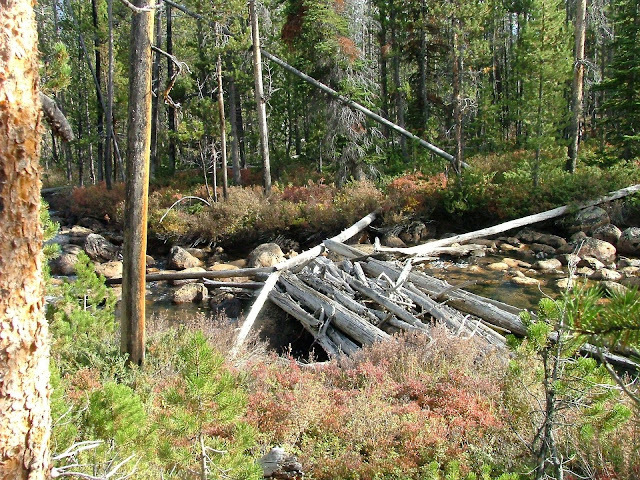 Friends, if you feel like your wellspring is clogged, that your life isn’t flowing freely, consider what may be the honeysuckle that is damming up that stream. Do you have unrealistic expectations for yourself? Do you have self-esteem or fear issues that are keeping you from pursuing the things that will make your life flow and your heart sing? Do you need to go to counseling? Back to church? Back to school? 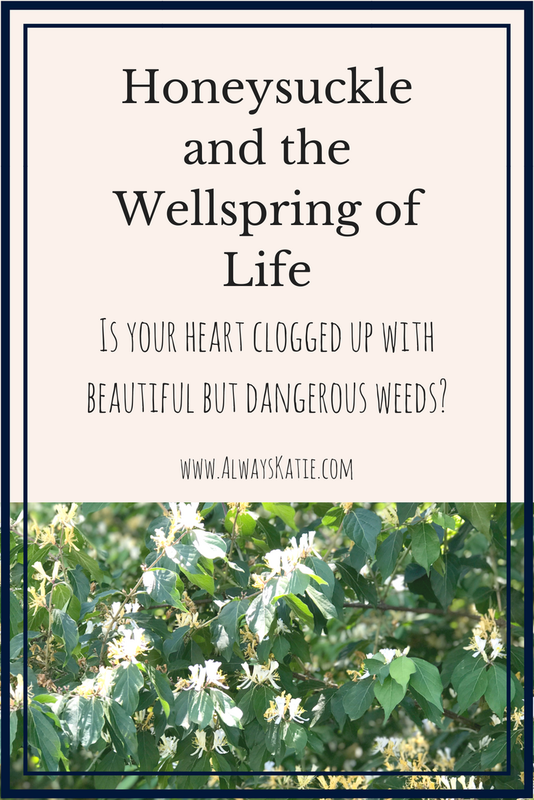 How can you uproot these deceptively lovely weeds and clear out your wellspring? I urge you to take stock and make changes! You deserve it! So, some of my favorite charity organizations have always been those that let you thoughtfully and prayerfully fill a shoebox full of Christmas gifts for little kids in very poor countries, or that let you pay to send animals or other life-changing gifts to families in these same countries in the name of a loved one. I love the idea of giving a person or family the means to support themselves long-term so that they’re able to lift themselves out of poverty, rather than being given a gift of food or medicine that – while obviously life-saving and important – will run out. I’d rather give them the means to earn the money to afford these things themselves. And I have to believe that in general, those in the position to be on the receiving end of these donations would prefer the dignity in that as well.